Italians are generally known throughout the world as excellent shoemakers. Their products are usually placed in a more luxurious category as the average person can afford their designer shoes. However, their predecessors on the Italian Peninsula ― the Romans ― were known as gifted shoemakers as well, apart from being ingenious engineers, architects, and sculptors. 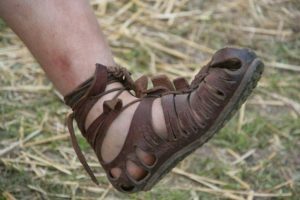 Moreover, Roman footwear wasn’t only functional but was fashionable in a sense to which we today can relate. 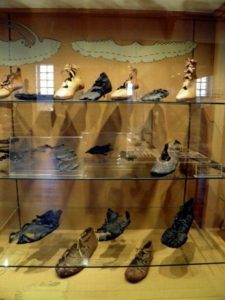 Roman footwear on display at Saalburg museum. Since 2005, Saalburg has been put under UNESCO’s protection as a World Heritage Site and the fortress has been reconstructed using known data about its prior shape and form. 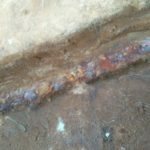 As for the shoe, it was found in what used to be well within the ancient settlement. 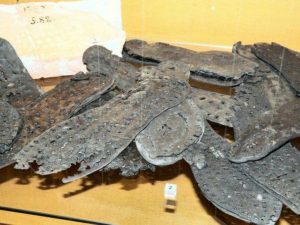 Today the 2,000-year-old piece of footwear stands as part of a regular exhibition in the Saalburg museum. 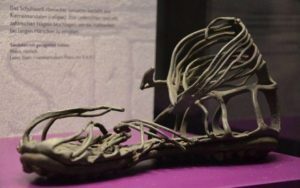 Soles of military boots – caligulae. The embroidery is crafted in great detail, once again implying this was most probably a shoe belonging to a wealthy person. Patterns including triangles and circles add to the beauty of this shoe from another time, displaying its maker’s skill, but also its owner’s social status, as a merchandise of this standard certainly came in a steeper price range. 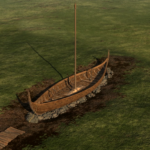 According to Rome Across Europe, a blog dedicated to Roman culture, the ancient civilization of Julius Caesar, Cicero and many others actually introduced the Mediterranean world with the first entire-foot-encasing shoe:“Many had large open-work areas made by cutting or punching circles, triangles, squares, ovals, etc. 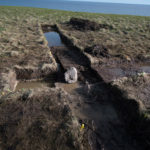 in rows or grid-like patterns. Roman caligae from re-enactment show Legio XV. 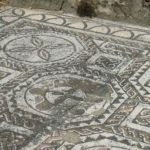 Pioneers in their own right, Roman shoemakers were known as sutors and their craft was highly praised throughout ancient Europe and beyond. The style obviously traveled together with conquest, as this example was discovered in the very outskirts of the Empire. 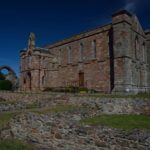 In an age of manufacture, a gifted sutor could easily earn the respect of Roman patricians ― the ruling elite ―enabling them to rise in the social hierarchy. Caliga, Roman soldier’s sandal from the 1st Century AD, Landesmuseum, Mainz. Thus came the saying by which everyone should stick to what they know, and remain restrained in passing judgment beyond their profession. 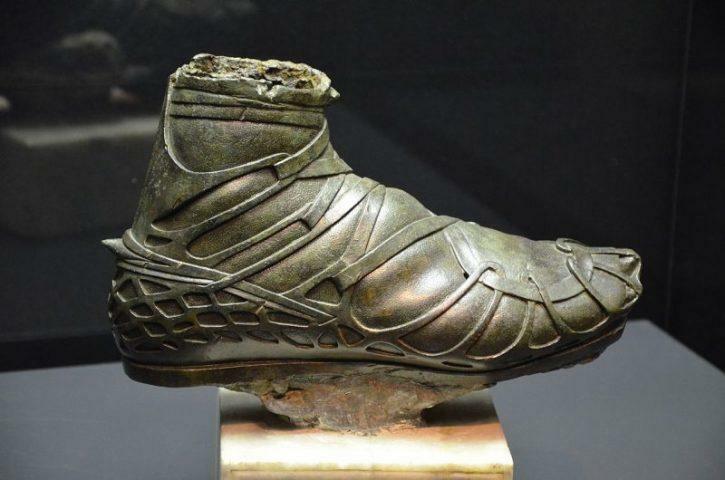 On the other hand, when it came to shoes, the Roman sutors clearly were masters of their trade, as confirmed with this lovely piece of footwear which stood the test of time for almost two millennia, to be discovered and admired today.